When I walked into the offices of Chateau Grand Traverse to interview Ed O’Keefe III (President) about the history of the winery, never did I expect to hear such a fascinating tale. Listening to people’s stories is an important part of my job as a historian and I always find them rewarding, but the tale of how the O’Keefe family came to plant grapes on Michigan’s Old Mission Peninsula is in a special league. Like the best historical narratives, it is a story of vision, hard work, and perseverance. Before we get to the tale though, let’s start at the beginning. My first job out of college was as a stockbroker. It was the late 90s and there was plenty of money to be made. Very quickly, I found myself in a world where lavish dinner and drink was the norm. Where, to a great degree, attitudes about food and wine had more do to with cost than taste. My blue-collar upbringing though wouldn’t allow me to pay a princely sum for a bottle of wine—not when great-tasting ones could be had at a lower price. 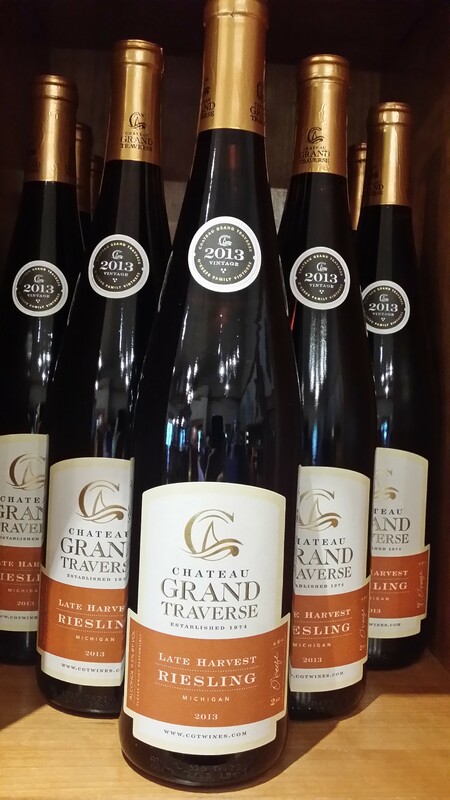 I stumbled upon Chateau Grand Traverse’s “Late Harvest Riesling” and instantly fell in love with its crisp, fruity taste. The fact that it was reasonably-priced was an additional bonus. My friend lived in Traverse City, so I decided to visit their satellite tasting-room. The trip was perfection. A storm hit the area while I was sampling some different types. High winds made travel dangerous—we couldn’t leave. Then the power went out. It sunk in that I was stranded…in the tasting room of my favorite vintner! I think I heard angels singing at that moment. I left with a case (paid for when power resumed—no looting) and a devotion to their wines. Fast-forward to 2015. I was planning a trip to Traverse City to tell the story of cultural tourism in the area. It made perfect sense to me that a visit to Chateau Grand Traverse was in order. I called their media relations expert who connected me with their president. Ed O’Keefe III agreed to meet with me during my trip and tell me about his family’s history. The fact that within minutes I was speaking to an owner reinforced my good impression of the company. I had already known they had a great product, but now I was pretty sure that they were “good people,” too. When we met, Ed delved into the story of his family’s history and the wine industry with such a passion that I found myself instantly engaged in viticulture (amazing considering agriculture is not an interest of mine). It was obvious that he felt a deep connection to the craft of wine-making. Michigan had enjoyed a rich history of commercial wine production starting in the mid-1800s, but not in Northern Michigan (History of Michigan Wine Industry). Edward O’Keefe Jr. researched the Old Mission Peninsula area and realized that the elements were ripe for a successful crop. He consulted academics from the state’s leading agricultural college who doubted the success of such a venture due to the harsh winters. O’Keefe called in a world-renowned expert of enology and viticulture from Germany who gave him some suggestions to increase results. With careful research, trips to European vineyards, and expert consultation, O’Keefe decided to ignore naysayers and give it a try. 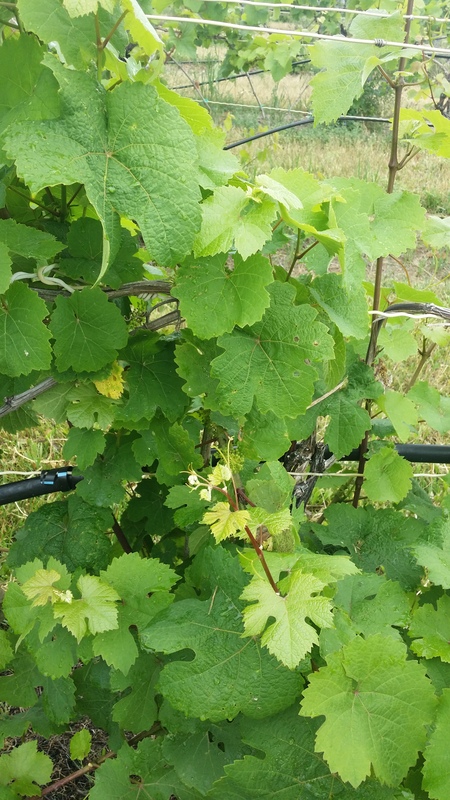 In 1974, the first sample vines were planted. Chateau Grand Traverse had its ups and downs, especially during the high interest-rate period of the 80s when Ed O’Keefe III came on board, but just like their vines the company persevered. After our interview, Ed took us on a tour of the winery. Tours are free of charge and offered regularly. When we got to the production area, I was reminded of the I Love Lucy episode where Lucy and Ethel worked in a chocolate factory and started eating chocolates to keep up with production. As I saw rows of bottles waiting to be corked, I wished for a power outage so that I could have my own I Love Lucy moment. Sadly, it didn’t happen and the bottles rolled speedily down the line. After the wine tour, husband and I visited the tasting room where you can sample these Michigan wines for a modest price. The Cherry Reserve “Port” with a piece of dark chocolate made me swoon. Embarrassingly, I actually moaned aloud. We purchased a cherry wine that we enjoyed later that evening on our hotel balcony overlooking Grand Traverse Bay. When it comes to beer and wine, Michigan is experiencing a renaissance of its pre-automobile industry when the state was a thriving manufacturer of alcohol. Tens of thousands of gallons of wine were produced in the 1880s, as well as 400,000 barrels of beer annually. Today, Michigan’s wineries produce more than 1.4 million gallons of wine annually and over 825,000 barrels of craft beer yearly. The trip was an enjoyable way for me to uncover a little more of this state’s history and connect the past to the present. Research note: The majority of my statistics and content findings came from the following sources, of which the work by Sharon Kegerreis and Lorri Hathaway was invaluable. Edward O’Keefe III, Interview, July 13, 2015. “History of the Michigan Wine Industry” including early history, Michigan wine history, and history of Chateau Grand Traverse, Sharon Kegerreis and Lorri Hathaway, Michigan Wines, http://www.michiganwines.com, accessed July 19, 2015. “Craft Beers by State,” Brewers Association, http://www.brewersassociation.org, accessed July 20, 2015.